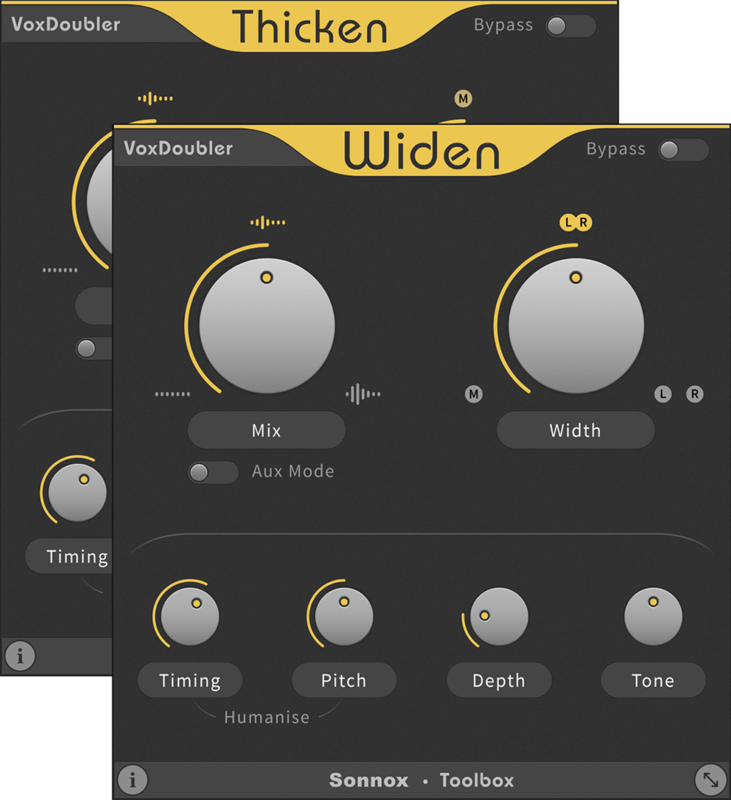 VoxDoubler is presented as two separate Plug-Ins that focus on the two most common vocal doubling workflows. Vocal performances lie at the very heart of a song. Doubling vocals is a really effective way of adding more contrast, drama and presence to the story of your song. It’s therefore hard to imagine much of recorded popular music without the special quality that double-tracked vocals bring to a mix, either used over an entire track or just to help a chorus or key lyric connect with a listener. Maybe you like the speed of using a classic stereo imager, chorus or harmonising effect, but aren’t so happy with the rather unnatural artefacts that can often occur? Enter VoxDoubler. Bespoke designed to give you the best of these two approaches; ease of use, real-time processing and results that sound as lifelike as if the doubled parts were actually multi-tracked. Saving you time, money and maintaining your creative flow. 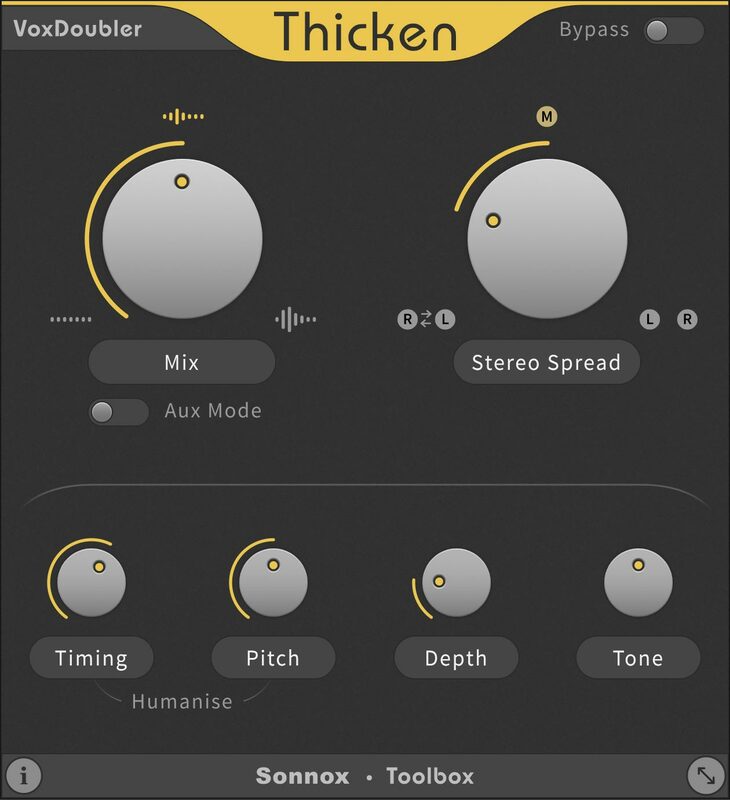 Generates two new mono voices and pans them to the left and right of the original vocal. Generates a new stereo doubled voice and overlaps it with the original vocal. Engineered for vocals, but try it on instruments too! "Sonnox scores again with simple tools that do a specific job really well – and it's affordable." "If you’re looking for a utility stereo-izer effect to use for various elements in your mix, VoxD Widen works great as a send/return effect and it’s worth the money alone for that." "This is one plug-in that will see plenty of action in my studio." "...provides a quick and easy alternative to time-consuming double tracking techniques"
"...it sounds fantastic – all but indistinguishable from the real thing..."
The new Toolbox range offers 2 activations for each product licence you buy. For more information about these choices please click here. Compatibile with any desktop application that supports Audio Unit (AU), VST2 or VST3 Plug-Ins. The VoxDoubler does not support Avid’s TDM/HDX hardware DSP platform (including Venue, S3L and S6L systems), Waves SoundGrid or Universal Audio's UAD platform.